Mark Greenberg is Professor of Law and Professor of Philosophy. His areas of expertise include philosophy of law, philosophy of mind and psychology, ethics, and criminal law. He is co-director of the UCLA Law and Philosophy Program. After receiving his B.A. from Johns Hopkins University (at age 18) and his J.D. from Boalt Hall School of Law of the University of California, Berkeley (at age 21), Greenberg served as law clerk to the Honorable Ruth Bader Ginsburg on the United States Court of Appeals for the District of Columbia Circuit. He was subsequently a Marshall Scholar at Oxford University, where he earned both his B.Phil. and D.Phil. in philosophy. In addition, he has been a Fulbright Scholar at the University of Stockholm, a research fellow at the Research School of Social Sciences of the Australian National University, and a Harrington Fellow at the University of Texas at Austin. Before coming to UCLA, Greenberg taught at Princeton University and the University of Oxford. Prior to that, in the late 1990s, he also served as Deputy Assistant Attorney General in the U.S. Department of Justice, where his work focused on criminal law and policy, constitutional law (especially equal protection and First Amendment issues), and appellate litigation. During this period, he also worked as a federal prosecutor. Greenberg has written numerous articles and book chapters. 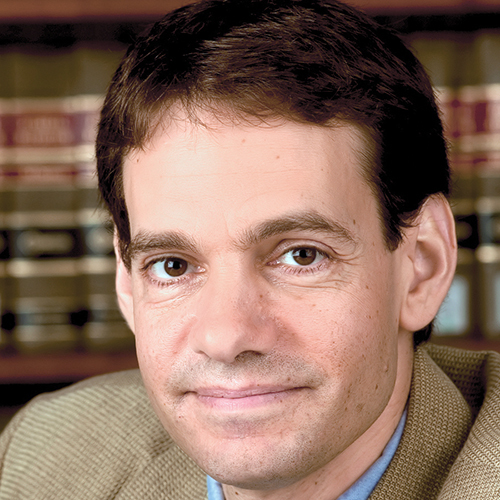 His article, “How Facts Make Law” won the American Philosophical Association’s 2007 Berger Memorial Prize for work in philosophy of law published in 2004 and 2005, and his article, “The Meaning of Original Meaning” (co-authored with Harry Litman) was the runner-up for the 2001 Berger prize.